Vitacost: Get $10 to shop with at Vitacost! Shipping is usually $4.99 or free on $49+ orders. Save lots of money with the clearance sale! 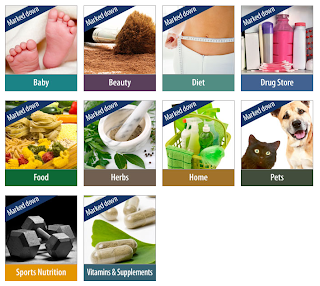 Buy stuff for baby, beauty, diet, drug store, food, herbs, home, pets, sports nutrition, vitamins and supplements and more! My favorite thing to buy from Vitacost is organic nut butters. 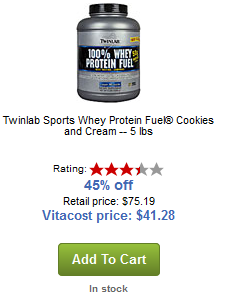 I just recently purchased TwinLab's Whey Powder in Vanilla, but they've got Cookies and Cream, 5 pounds for 45% off ($41.28)! Use the $10 coupon and get it for $31.28! Whey powder is awesome for controlling your hunger and helping to build lean muscle, and is a great post-workout snack! 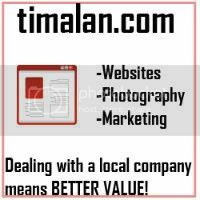 Sign up for Vitacost for your $10 coupon, and be sure to go through Shop at Home to Shop Vitacost and earn 9% cash back.